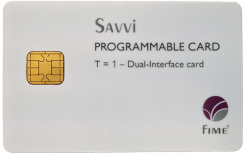 The Mastercard M-TIP Softcard library is an optional upgrade for the Savvi Test Platform. The library contains Softcards to conduct M-TIP Contact and M-TIP Contactless certifications (including support for M/Chip Fast). The M-TIP Softcard library is a Mastercard Qualified M-TIP Test Tool. It can be used for Mastercard certification testing of any type of contact and contactless terminal, POS and ATM. Softcard libraries are kept up-to-date automatically thanks to the online automatic software update feature available in the tool.